Bertram (Bert) Borden Fisher, 87, a resident of Greenwich, CT and a lifelong fixture on Fishers Island passed away peacefully on December 1, 2018 surrounded by his loving family. Born October 7th 1931 in New York City; Bert was the son of the late Harris B. Fisher, Jr. and Gwendolyn Talbot Fisher and the grandson of Mr. and Mrs. Harold Talbot. The Talbot families and subsequent Fisher families have been coming regularly to Fishers Island since 1917. Bert attended Manlius Military Academy of NY and Hebron Academy of Maine. When asked about college he took great pride in saying his advanced degrees came from Uncle Sam. He proudly served our nation in the U.S. Army and did so with great pride and dedication as an Army Ranger and Paratrooper serving with the 5th Regimental Combat Team in Korea (2 deployments) during the height of the Korean conflict. At the time of his Honorable discharge from eight years of service he was 2nd Lieutenant. After leaving the military Bert worked briefly selling textile machinery for the Leesona Company of Rhode Island. He found his passion though in the insurance world where he worked for sixty years, the past 25 years with the DeWitt Stern/Risk Strategies Group of New York as a Senior Vice President. He was a trusted insurance advisor to many of New York and Connecticut’s most prominent families and businesses. 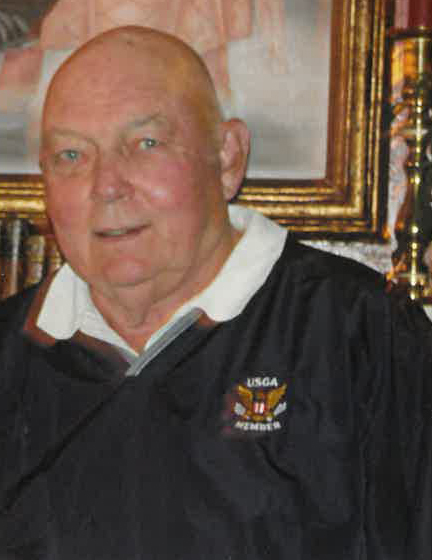 An avid sportsman throughout his life, he was an accomplished racquets player, ice hockey player and a member of the US Olympic Men’s Field Hockey Team. 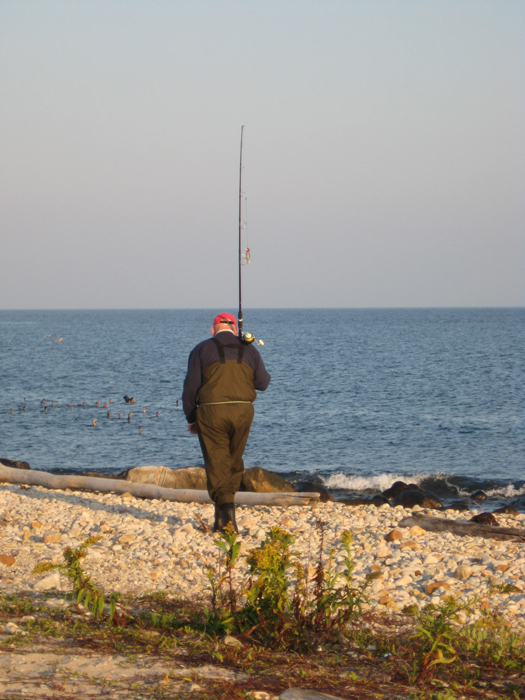 He loved the NY Yankees, NY Rangers, Brunswick Football, being on the water, golf and most of all his fall surf fishing sojourns to Fishers Island NY. 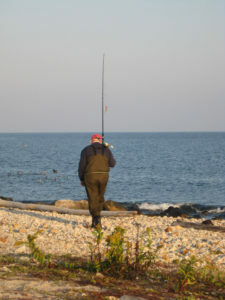 He was his happiest patrolling the beaches on Fishers Island especially Race Point with fishing rod in hand. In his younger years, he spent his summers on Fishers Island up until the time he went into military service. A few of his jobs on island included working for Ed Hedge, Captain Pete Sinclair and at the Big Club. He had the distinction of being on Fishers during the 1938 hurricane while staying with his grandmother Ma Talbot at the Edmonds house. When questioned why he wasn’t in school in New York City – he explained that the NY city schools were delayed from opening due to a polio outbreak. Some may question this explanation as anyone who knew Bert knew he had some good stories. Bert had a larger than life personality, a big and powerful physical presence, a boyish “up to no good” grin and a wonderfully engaging sense of humor. He took great pleasure in giving those he loved the most a hard time – all in the name of fun. Very few escaped his company without a broad smile and a fond memory.  He is survived by his wife of 13 years Carolyn Lincoln Fisher, sons John C. Fisher (Bebe) of Darien, CT, Bertram B. Fisher Jr ( Katie) of Shelton, WA, Richmond T. Fisher (Kim) of Riverside, CT, and Alexander M Fisher (Andrea Moeller) of Maui, HI, eight grandchildren; Kristie, Alita, Blake, Alex, Annie, Ashley, Carolyn, and Jack and two great-grandchildren. He is also survived by his half-sister, Peg Oakes of Madison, N.J., his half-brothers John Gaston of Charlottesville, VA, and Alexander Gaston of Oahu, Hawaii (both formerly of Fishers Island). Bert was predeceased by his first wife of fifty years Jane Laidlaw Fisher and his brother Peter B. Fisher. The family plans to have a gathering on Fishers Island in the fall of 2019 to celebrate the place he loved so much. 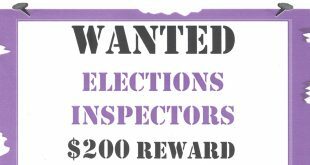 Register to be an Election Inspector today!